POLITICAL Party leaders should use the right tone and text in addressing the issue of violence with their respective members if Zambia is to get rid of the escalating vice that has rocked the campaigns leading to the August 11 general elections. 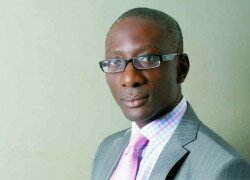 NAREP president Elias Chipimo Junior said his party did not believe that the recent widespread in violence in the current period leading to the August 11, general election should be allowed to continue with no efforts in trying to resolve the friction between the two major factions of Patriotic Front (PF) and United Party for National Development (UPND). In a letter written to PF and Republican President Edgar Lungu and UPND’s Hakainde Hichilema, Mr Chipimo called on both leaders to be mindful of what was in the interest of the Zambian people as opposed to their personal party agendas in dealing with the prevailing political violence in the country. He said as NAREP, they were deeply concerned with the levels of violence that had cost the nation the life of a young woman. “We know that you are concerned to see a peaceful Zambia emerge from the elections that will take place in a few weeks’ time. “We do not believe that this is a widespread contagion within the parties but we do believe that your personal intervention through a mediated process and the right tone and text in addressing your respective supporters as well as agreed steps to be implemented by each side will ensure that any ongoing or future violence will not continue or recur,” he said. Mr Chipimo said while they would have recommended the church to lead the mediation, it was apparent that there was widespread erosion of public confidence in the clergy to effectively lead the country out of the current situation, but was hopeful that with the commitment from both leaders, a solution would be found. He said, as a party, they that had always advocated for issue-based politics and had never deviated from that approach. NAREP was hopeful that they were best placed as a neutral third party in finding a peaceful solution to the current hostility. “We have resolved not to field a presidential candidate in this year’s elections and feel confident our party president Mr Elias Chipimo can offer a neutral and trust-enducing environment within which the issue of violence can be safely discussed and resolved between the PF and the UPND. We would be forever grateful to be given an opportunity to bring peace in our nation and therefore, fulfill the very words of scripture “Blessed are the peacemakers for they will be called children of God,” he said.